First African American to obtain a PhD in Nursing from East Carolina. 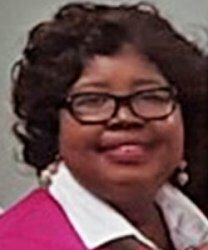 First African American female at Vidant Medical Center in Greenville, North Carolina to serve as Director of Nursing at a community hospital, and to be named as Hospital Hero from the Coalition of Healthcare. The first to serve as the Magnet Program Director at the Tertiary Care Center.